§ Association of Thai Professionals in America and Canada (ATPAC) since its inception; Chairperson of ATPAC Environmental Team from 1989 to 2012. § Currently a Senior Project Manager/Planner at Parsons Corporation (since 1998) managing large scale, complex projects related to environmental management and monitoring in the U.S.
§ Shareholder and Chief Financial Officer of Nitid Corporation (a U.S company), conducting product search and purchase for export to Thailand and Southeast Asian Region. § Shareholder and Chief Financial Officer of Nitid Co. Ltd. (a Thai company), engaging in the distribution of high quality imported juvenile products to major department stores and specific retailed stores in Thailand and neighboring countries. § As an active contributing member of ATPAC, conducted several workshops on various topics as part of the technology exchange program under ATPAC. § Authored a workbook “Project Management Techniques for Science and Engineering Professionals” (in Thai). § Assisted the School of Environmental Engineering and Management of AIT in fund raising for rebuilding as a result of the great flood in Bangkok in 2011. § Institute for Professional Environmental Practice 2009 Annual Award in the category of International Collaboration and Cooperation, June 2009. § Asian Institute of Technology: AITAA distinguished alumni award recipient in the field of International Affairs, 2009. - The academic training at AIT, both the courses taken from many outstanding professors and the research experience gained from doing thesis, set a solid foundation for my professional career. 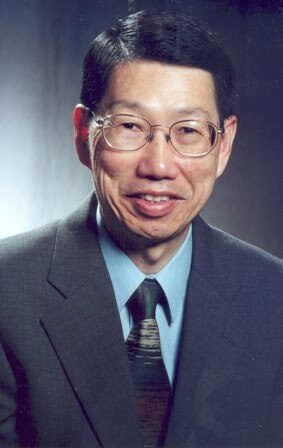 Received several prestigious international awards for his research accomplishments, including the 2008 IAHR Ice Research and Engineering Award, the 2007 ASCE Hunter Rouse Hydraulic Engineering Award, the 2000 ASCE CAN-AM Civil Engineering Amity Award, and the 2000 ASCE Harold R. Peyton Award for Cold Regions Engineering. AIT degree provided opportunities to learn about other cultures around the world and become more confident in presenting your ideas to a wide range of audience. In addition, AIT experience enhanced my capabilities to come up with independent research ideas and pursue the passionate research topics. I am involved in developmental projects in Africa and my experience at AIT to work on appropriate technologies for the region helped me shape my research program in Africa. • His research program produced over sixty published refereed journal articles, three books, eleven book chapters, two international workshops, over one hundred fifty presentations at international conferences, and three IP disclosures. • His research funding expenditure over the years has been more than 7.5 million US dollars and over 30 different projects. It has been my desire to be an educator in an academic institution, to teach and pursue research on challenging problems, jointly with students. I derive enormous satisfaction seeing students, upon graduation, transition from students to mature adults, fully capable of carrying out duties expected of them to the best of their abilities. The Master’s degree in Industrial Engineering and Management that I earned from AIT has served as the catalyst for realizing this goal. 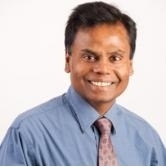 Dr. Logendran has co-edited a book titled Group Technology & Cellular Manufacturing: Methodologies and Applications, and has authored or coauthored more than 125 publications in archival journals, book chapters, and refereed conference proceedings. Most recently, Dr. Logendran received the 2013 Distinguished Alumni Award in Academics and Research Excellence from the Asian Institute of Technology, Thailand. He received the Best Paper Award twice (in 2009 and 2012) for papers presented at international conferences and published in the conference proceedings. His research has been supported by the National Science Foundation, Oregon Metals Initiative, Oregon Department of Transportation, TransNow, Port of Portland, Oregon Economic Development Agency, and industry. In 1996, he received the “Most Favorite Teacher of the Year” award by the IIE Student Chapter at Oregon State University. Prior to that, the IIE Student Chapter at Southern Illinois University in Edwardsville gave him the “Outstanding Industrial Engineering Faculty Member Award” in appreciation of excellence in teaching for 1987-88. Besides teaching, he has held research fellowship positions with various organizations, including Air Force Office of Scientific Research (AFOSR) - McClellan Air Force Base, Sacramento, CA; The Boeing Company, Everett, WA; and National Aeronautics and Space Administration (NASA) - Johnson Space Center, Houston, TX, and has made significant contributions aimed at solving industry-relevant problems. Dr. Logendran was a Fulbright Scholar at the University of Science, Malaysia in 2000. Currently he serves on the editorial board of the International Journal of Industrial and Systems Engineering, and has previously (1997-2008) served on the editorial board of the IIE Transactions on Design and Manufacturing. 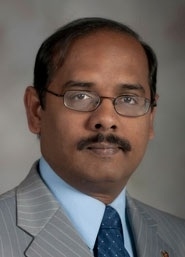 Dr. Logendran is a Fellow of the Institute of Industrial Engineers (IIE), a Senior Member of the Society of Manufacturing Engineers (SME), a Member of the Institute for Operations Research and Management Sciences (INFORMS) and the American Society of Engineering Education (ASEE), and Faculty Advisor for the Alpha Pi Mu Industrial Engineering Honor Society at Oregon State University. Full Name: Rafiul Ahad, Ph.D.
AIT taught me Computer Science and afforded me hands-on experience in Software Engineering concepts, tools, and techniques in a (then) state-of-the-art Information Technology laboratory. It prepared me for both pursuing a doctoral degree in Computer Science and starting a career in Software Industry. I chose to go for a doctoral degree in Computer Science and was able to transfer many of my AIT course credits to my Ph.D. program in the USA. B.Sc. (Physics), Rangoon Arts and Science University, Yangon, Myanmar. M.Sc. (Computer Science), Universities’ Computer Center, Yangon, Myanmar. M.Sc. (Computer Applications), Asian Institute of Technology, Bangkok, Thailand. Ph.D. (Computer Science), University of Southern California, Los Angeles, CA, USA. 1985-1989: Assistant Professor of Information Systems, College of Business and Management, University of Maryland, College Park, Maryland, USA. 1989-2003: Adjunct Faculty (part-time), Computer Engineering Department, Santa Clara University, Santa Clara, California, USA. 1996-2000: Senior Director and Architect, Oracle Lite product development, Server Technologies, Oracle Corporation, Redwood Shores, California, USA. 2000-Present: Vice President, Software Development, Product Development, Oracle Corporation, Redwood Shores, California, USA. · Led the development of OpenODB/Odapter object-relational database product from scratch at Hewlett-Packard. · Led the development of Oracle Lite, mobile and embedded database product at Oracle Corporation. · Published several journal and conference papers on research topics in databases, security, mobility, and performance. · Received several patents in Information Technology. · Presented keynote speeches and other presentations in several conferences. · A 16 handicap golfer. AIT degree laid the foundation for my academic and professional career. At AIT the curriculum was rigorous, people were considerate, and the environment was nurturing. In all, I consider 18 months spent at AIT among the most memorable and valuable in my academic life. WARF Challenge Grant Award (2013), Distinguished Alumni Award, Asian Institute of Technology (2012), US President’s Volunteer Service Award (2012), Fulbright Program Specialist (2012), Top-Cited Author, Biosensors & Bioelectronics (2012), Consultant, USAID Winrock International, Farmer-to-Farmer Program (2010-11), Fellow, American Society of Agricultural and Biological Engineers (2006), Honorary Visiting Professor, Zhongkai University, China (2004-07), International Dairy Foods Research Award, ADSA (2003), Samuel C. Johnson Distinguished Research Fellow (2001-04), Fulbright Fellow (2000), Hilldale Undergraduate/Faculty Research Award, UW-Madison (1999), Certificate of Contribution, The BFGoodrich Collegiate Inventors Program (1998), Nominee, National Academy of Eng. Symposium on Frontiers of Engineering (1998), New Holland Young Researcher Award, American Society of Agricultural and Biological Engineers (1996), Superior Paper Award, American Society of Agricultural and Biological Engineers (1987 and 1995), Wisconsin Teaching Fellow, UW-Madison (1993-94), Blue Ribbon Award, American Society of Agricultural Engineers (1986), Engineering Open House Graduate Research Award, University of Illinois (1985), STEP Grant, American Association for Advancement of Science (1984), Graduate SEAL Grant, University of Illinois (1983 and 1984).